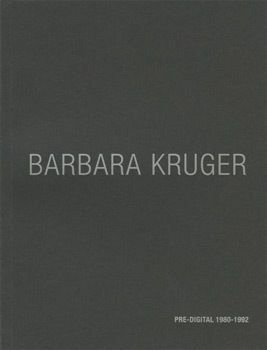 Barbara Kruger, Pre Digital 1980-1992 is a fully illustrated catalogue featuring 44 color plates of Kruger's intimately scaled artworks which explore a unique stage of her career. All of the works were created before the widespread use of digital imagery and vary in sizes no larger than 11 x 13 inches. 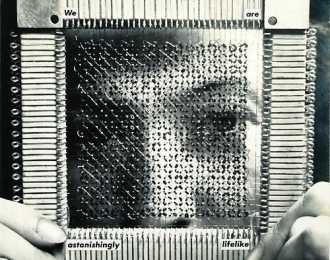 They are composed of images and texts from the media altered in order to transform their original visual and conceptual meanings. A negative of the works was then produced and used to make enlarged version of these initial "paste-ups".